We can’t wait to help you get behind the wheel of your new Chrysler vehicle at Oxmoor Chrysler Dodge Jeep Ram. Find your ideal Chrysler lease in Louisville, Kentucky. Whether you are in the market for a sophisticated sedan or a state-of-the-art van, we have the right car for you. If you plan to maintain low mileage on your vehicle or want to drive a luxurious upgraded model, a lease may be the perfect choice for you and your life. Plus, by leasing your next vehicle, you can expect lower monthly payments than a traditional car loan. Learn more about lease options at our Louisville, KY Chrysler dealership. 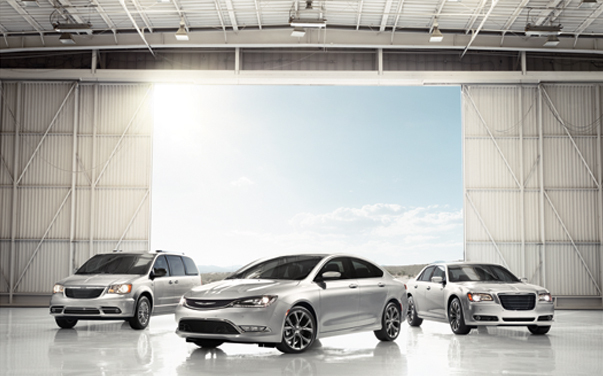 Our full lineup of Chrysler vehicles is available for lease at Oxmoor Chrysler Dodge Jeep Ram. The Chrysler 300 is an uncompromising sedan with lush and spacious interiors and a powerful V8 engine with impressive horsepower. If you need a vehicle for the whole family, test drive the Chrysler Pacifica Hybrid, for a sophisticated, smart, and environmentally conscious take on the classic minivan. Get behind the wheel of different Chrysler trims by scheduling a test drive today! Contact Oxmoor Chrysler Dodge Jeep Ram for more information about our Chrysler leasing options in Louisville, KY. Our finance team is happy to help you secure financing that suits your budget. We’re here to help you find an auto loan, value your trade-in vehicle, estimate your monthly payment, and determine your the best financial fit for your budget. Call Oxmoor Chrysler Dodge Jeep Ram in Louisville, KY today to get started.